I knew I needed an implant. so I decided to turn to online reviews to find the perfect dentist for the procedure. Honestly, I was a bit skeptical of how well Dr. Lerner scored on online reviews, but I decided to give him a chance and go in for a consultation. My skepticism diminished the further I went into the appointment. His staff was incredibly personable and kind, and he was incredibly honest and skilled. I came out of that appointment very impressed. In fact, I was impressed with the atmosphere of the dental office before Dr. Lerner even looked at my teeth. Dr. Lerner informed me that the implant would only take about 10 minutes and that it would be painless. He was right. I was so surprised! I didn't even have any pain well after the numbing medicine had worn off. I later went back for a filling, which was also efficiently done and pain-free. I give Dr. Lerner my highest recommendation without reservation. He is phenomenal. Out of all the “adulting” tasks, going to the dentist is one of my least favorite. After looking at online reviews, I decided to call Dr. Lerner's office. I gave them my insurance information, and they called me back within an hour to help me schedule the appointment. The receptionist that I spoke with on the phone was incredibly kind and helpful. She made scheduling an appointment very easy, especially for a new patient. When I arrived, multiple staff members greeted me very kindly. After being called back, they took me to get some x-rays done and then assigned me to a room. The office was clean and cozy. The staff is very charismatic. They're also very honest, which I greatly appreciate when it comes to a dentist. While I still don't like going to the dentist, I will be coming back in 6 months for my regular checkup. As long as I live in New York, New York, Dr. Howard Lerner will be my dentist. My mom was actually the one who first recommended I go see Dr. Howard J. Lerner. She is very sensitive when it comes to dental work. The first pinch of pain is enough to make her very anxious. Dr. Lerner is the only dentist she will go to. Having been to Dr. Lerner for multiple appointments and procedures, I can honestly say that whether you get something simple or something very complicated done Dr. Lerner does an excellent job. He provides an efficient yet pain-free experience. One time, I was in such unbearable pain that I felt like I was going to faint. It took Dr. Lerner less than 7 minutes to remove the three teeth that needed to be extracted. Like I said, he is incredibly efficient, and even though it was of a more complicated procedure, I didn't feel a thing. The office is very clean and well-decorated. They provide adequate entertainment as well. The entire staff is very fun to be around, and they are incredibly inviting. By the end of my first appointment, I felt like we were all old friends. I can't say enough good things about Dr. Lerner and his New York, NY practice! I'm very satisfied with my experience at Dr. Lerner's office. The staff was very charismatic and the technology was very high-tech. While I have to wait a little bit to get called back, it really wasn't that big of a deal. However, if I was to rate the experience out of 5 stars, I take one away because of the delay. That being said, the rest of the experience was wonderful. We’ll see how things go when I come back to get a wisdom tooth removed. The second time I went in for my wisdom tooth removal, and they took me back immediately. I didn't have to wait a single second. Thank you Dr. Lerner and staff for your punctual service. I highly recommend Dr. Lerner's office. I have gone here for both regular teeth cleanings and fillings. I haven’t felt pain during any of my appointments. Previously, I had multiple bad experiences going to other New York dentists, but Dr. Lerner and his staff were so kind and so comforting that I was no longer apprehensive of my regular dental care. I’ll be going back to this practice for years to come. After over two decades in New York, I finally found a dentist I actually like. Dr. Lerner’s office is cozy and inviting. Unlike other dentists, he is efficient yet still devotes a great deal of time to his patients. I appreciate that he is honest, telling you exactly what you need without trying to upsell you on something that isn't actually necessary. Unfortunately, many other local dentists do this. I had a chipped tooth, which he fixed at a very affordable rate. Although his office is a bit of a drive for me, I am happy to travel knowing that I get such good care. I had done a lot of research prior to coming to his clinic, and none of the other dentists I interacted with were as kind. I can't say that I want to go back very soon because I don't necessarily like visiting the dentist, but when I do have to return, I will definitely be giving Dr. Lerner a call. My aunt referred me to Dr. Lerner’s practice. I'd been in pain for over a month, so it was a relief to learn that they could schedule me for an appointment the very next day. When I arrived, the staff greeted me very pleasantly. I barely waited 5 minutes before being taken back to get worked on; however, they apologized profusely for being “late.” After getting x-rays taken, I met Dr. Lerner, who was very understanding of my dental anxiety. He kept me very comfortable during the exam. I went back the following week for a root canal, which was painless. Although Dr. Lerner said that it was possible I would have pain the next day, I didn't feel a thing. I will be going in for another appointment later this week, and surprisingly, I’m not anxious. That’s a first. I have since referred multiple friends to Dr. Lerner's office. It's only fair to tell others about the great customer service. I haven't actually been a patient at Dr. Lerner’s practice, but I was very impressed with their level of customer service. I recently called Dr. Lerner's office, and the receptionist helped us find another practice that could accommodate my sister's dental needs and insurance information on such short notice. The receptionist could have just hung up the phone after telling us that they couldn't take her on as a patient at that time, but instead, she was incredibly helpful and understanding. Even though my sister and I aren't patients there at this current time, it felt like we were because of the kindness that we received. I am thrilled to have found Dr. Lerner's practice. My wife was suffering due to an impacted wisdom tooth and needed it extracted immediately. We had been looking for a New York based dentist/oral surgeon for quite some time but had been unimpressed with those that had offered us a consult. Then we met Dr. Lerner. He was able to fit her into his schedule with very little notice and removed her wisdom tooth. It was a painless process for her--just x-rays, a couple of shots, and a little bit of pressure. We were on our way home in less than an hour. Seeing how well she was treated inspired me to have my own work done. I made an appointment to fix a chipped tooth/implant. We can’t thank Dr. Lerner and his staff enough. The very thought of having my wisdom teeth extracted was enough to throw me into a spiral of anxiety. Since I had never had any kind of oral surgery before, I had no clue what to expect when getting my wisdom teeth removed. the staff at Dr. Lerner’s practice were very personable and efficient. The dental assistants put me at ease thanks to their positive attitudes. Dr. Lerner explained the process to me in great detail. He explained that I would need two wisdom teeth removed and said that he could do it that day if I wanted him to. His confidence and reassurance comforted me, and I agreed. He did the procedure in less than an hour, and I didn't experience any pain. I will definitely be going back to Dr. Lerner for all my future dental appointments. I am so excited to report that I have found my regular dentist. I absolutely love Dr. Lerner's office. Everyone on staff is so sweet! Typically, when I would go to the dentist, I would experience pain from all the poking and prodding and would end up with a massive bill for fillings or crowns. However, Dr. Lerner is different. I got an implant, and it was done in just 10 minutes. I felt no pain whatsoever. That was an absolute first for me. I have never had a painless dental visit in my life. The hygienist who did my cleaning was amazing. She had such a great personality--making me laugh and easing my anxiety. I cannot imagine going anywhere else. I went to Dr. Lerner's office for a check-up, cleaning, and filling. It was the best dental experience I've had to date. I don't usually write online reviews, and I never expected to write a review of a dental office, especially considering I am not exactly a fan of dentists. But, I have to give credit where credit is due. Dr. Lerner told me that I would be pain-free during the procedure, and he was right. He and his team are incredible. They gave me great customer service and helped deal with all the logistics of my situation. I am pleased to say that I am Dr. Lerner’s patient, and I think he should be pleased with the quality of work he does. He is a tribute to his profession, a true asset to New York dentistry. I went to Dr. Lerner for the removal of two of my wisdom teeth. I barely had any pain during the procedure, and less than a week later, I had no visible swelling. Plus, I could eat any solid food that I wanted. I appreciate how meticulous and candid Dr. Lerner and his staff were. It was nice to know what to expect during the procedure. Additionally, they made me feel very much at ease during the procedure itself. I recommend Dr. Lerner and his practice without reservation. He is the first dentist that I feel I can genuinely trust. I continue to be amazed by Dr. Lerner and his staff. They go the extra mile to tend to their patients’ needs. I can't think of a single negative thing to say about my experiences at this clinic. Dr. Lerner even repaired some old dental work from a previous dentist simply because he knew it would help make me a bit more comfortable. I cannot think him and his staff enough. P.S. Dr. Lerner is incredibly gentle. Being in his dental chair was the first time I’ve ever been able to relax during a procedure. Dr. Lerner not only has a great personality but also is a great dentist. He genuinely cares about his patients and gives honest recommendations about the work that needs to be done. He respects his patients’ wishes and does not try to pressure them into getting services that they don't actually need. The office does a great job at accommodating my busy schedule and has even scheduled me for appointments with very little notice. I appreciate how willing they are to help. I love how well Dr. Lerner and his staff treat their customers. I couldn't be more satisfied with my experience at his dental clinic! Dr. Lerner is the best dentist I could ever ask for! Initially, I went to Dr. Lerner for an impacted wisdom tooth extraction. Using local anesthesia, he removed two of my wisdom teeth while I was still awake. He also let me request the music I listened to during the procedure. I chose some rock music that he also enjoyed! I didn't have any pain during or after the surgery. I didn't even need to take any pain medication! I did take one over-the-counter pain killer after the procedure, just in case, but I didn't have any swelling or complications. I was even able to go back to my regular eating habits within 24 hours of the surgery. Dr. Lerner is an absolute genius when it comes to dentistry. His staff is equally as awesome. The receptionist welcomes patients in a way that makes them feel important. The prices were very fair, especially given the exceptional performance. Thank you Dr. Lerner and team for the best possible wisdom tooth extraction experience I could have asked for. 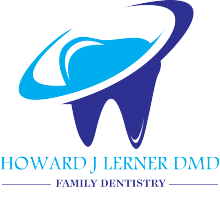 Dr. Lerner Is one of the best dentists in the state of New York. His office is conveniently located, and he is incredibly efficient, positive, and charismatic. Best of all, his prices are competitive with other local dentists. He also accepts a wide variety of insurance policies. if you are looking for a one-stop, hassle-free dentist appointment, then go visit Dr. Lerner. You’ll love his practice! Dr. Lerner and his staff are lovely. I had such a positive experience thanks to the receptionist and the hygienist. Having come from the UK, I was apprehensive about going to a dentist in the US. I put off going for as long as I could. My first appointment at Dr. Lerner’s practice was wonderful. I received excellent care. Dr. Lerner has an infectious energy that put me at ease. I was also very impressed by the thorough cleaning I received from the hygienist. I highly recommend this dental practice! I found Dr. Howard Lerner after reading online reviews. We needed a dentist that would be able to see us on the weekend, as it was very difficult to accommodate appointments for my son during the school week. We had wanted to switch from our pediatric dentist because he is a teenager and is very grateful to have found Dr. Lerner and his staff. The hygienist who did the cleaning was incredibly gentle and made sure to explain everything that she was doing, which made my son feel at ease. Dr. Lerner was very friendly during his exam and even complimented my son on his teeth. I appreciated that they weren't pushy about taking x-rays after I explained that I preferred to wait. I also received a discount. Parking was very convenient. We have found a new dentist for my son! Dr. Lerner and his staff are incredible. They became my dental practice after I had my wisdom teeth removed here. One day, I came in because I was in a lot of pain. They discovered that I had cavities that needed to be taken care of and that I needed a root canal. I decided to look elsewhere to see if I could find a lower price. However, after searching multiple dental offices, I realized that I would not find anything that compared to Dr. Lerner. I went back for the recommended care and have been very satisfied with the results. I owe a huge thank you to all those who took the time to write online reviews about this practice. Your assessment was absolutely correct! Dr. Howard Lerner is efficient, gentle, and charismatic. I had put off getting two crowns because I didn't have dental insurance for quite some time, but I finally decided that I needed to take control of my teeth. I did my research and got quotes from multiple local dentists. When calling a dentist, you can get a true feel for the atmosphere in the office. This is especially true if you tell them up front that you don't have insurance. The X-ray, teeth cleaning, and crown sizing experience was very prompt and painless. The crown setting process was also very efficient and painless. I found the staff to be incredibly personable and helpful. I will be recommending Dr. Lerner to all my friends who have also been putting off going to the dentist. I’m not a fan of going to the dentist. Three separate dentists told me that I needed a root canal, but I wanted to try to avoid that. I wanted a dentist who could do a crown and also respected my belief in using oil pulling as a method to self-heal. While others thought this was an odd request and kept pushing the root canal, Dr. Lerner successfully put a crown on my bothersome tooth. He did such a great job at accommodating my request but also doing it in a way that didn’t cause me any pain. Dr. Lerner has the magic touch needed to pull off challenging cases with ease. I won’t be going from dentist to dentist anymore. I’ve found the one dentist I will go to as long as I continue to live in New York, NY. Dr. Lerner is the best dentist in New York, New York. He and his staff were so accommodating and kind. With their care, it was easy to relax. My appointment was for my final wisdom tooth extraction. I can honestly say that I didn't feel a thing! The entire process took less than 5 minutes. Dr. Lerner is wonderful at wisdom tooth removal. Thank you so much! This place couldn't be any more phenomenal! The staff did a great job accommodating my needs, and it seemed as though they genuinely cared about my comfort. Dr. Lerner is highly skilled, and he completed my extraction very efficiently. The receptionist handled the billing process very efficiently as well. She was incredibly sweet. My appointment ran very smoothly and punctually. Excellent dental work! The rave reviews about Dr. Lerner’s dental practice are 100% correct. Everything about my first experience here went very smoothly. Since I went in for a checkup and cleaning, I didn't spend much time with Dr. Lerner, but the time I did spend with him was very pleasant. He didn't try to pressure me into unnecessary services. I was very impressed with the rest of the staff too. The thing that impressed me the most about my appointment, though, was the fact that the front desk staff had already contacted my insurance to make sure that I was in network, and they were able to tell me exactly what was covered. In my experience, it is rare for a receptionist to do this work proactively. I appreciated that they were able to confirm I was in network and explain my coverage, including my co-pays. My copay information isn't written on my insurance card, so I'm thrilled that they went the extra mile to have all this information prepared in advance. The person who took my x-rays was very kind and gentle. I also appreciated that my hygienist took the time to answer all my questions during the cleaning process. Overall, I received excellent service and we'll be coming back for my regular appointments. I’ve been a patient here since 2010, and I actually look forward to my checkups. This isn’t my normal dentist, I tend to jump around a lot because when I see a Groupon I just have to take it. But this place is the best, and it is my dentist office of choice in Murray Hill area and the East side NY. Dr. Lerner is very kind and is always willing to work with you even if you don’t have insurance, which is something that is hard to find. My teeth look great now thanks to him (I use to have a snaggletooth), and his staff is very friendly. I couldn’t go to my normal dentist in Midtown Manhattan for my root canal because they contract ortho surgeons and I would’ve had to wait over a week, so instead of waiting while in pain I did some research and found this office. They were able to see the next morning. Patient comfort is Dr. Lerner top priority. He has great prices and does great work, so I switched over to them. All of the treatments one could need are available. When my daughter needed a crown I came here because her pediatric dentist was going to charge me double. They helped take her fear away and she couldn’t stop smiling when we left. Dr. Lerner thorough explanation of everything helped her relax. When I first walked into the dentist’s office in Midtown Manhattan I was happy to see it was very clean, and in it’s a very convenient location for me. Upon entering I was greeted immediately and offered free water from their clean fridge. My wait wasn’t very long at all, which I appreciated. The backroom was also very clean, and the hygienist was very kind and knowledgeable. After my cleaning the doctor came is because I needed more work done on my mouth. He is honest with you about your mouth, he doesn’t make you get procedures done that you don’t need. What needed to get done was done without any pain and it was done in a very professional manner. This doctor can complete any work you need done, you won’t need to go anywhere else except for when you need braces done, they don’t provide that service. They’re not just trying to take your money, this doctor doesn’t lie to you about the procedures you need done just get to more money. He gets the job done, and for that reason, I will be a returning customer. If you need a dentist in New York you should definitely give this place a try. Unlike dental insurance, a direct dental plan with Dr. Lerner and Doctors Network is a membership that gives you access to significant discounts on almost all of our services. Everyone can join for a low monthly fee of $29.99 and a one-time activation fee of the equal amount. The cost of membership is typically a fraction of most dental insurance premiums. Dr. Lerner, our team, and the experts at Doctors Network share the common goal of making dental care simpler, more affordable, and more attainable for all of our patients. Please note that a direct dental plan is not insurance, and is not designed to replace your existing coverage. We offer this direct dental plan to help reduce your out-of-pocket expenses and therefore maintain your oral health. If you have questions about Doctors Network, or are ready to sign up, then contact Dr. Lerner at Dr. Howard J Lerner, DMD today, or call Doctors Network at 1-866-800-3168. General dentistry is as essential to your smile as taking care of your teeth at home. For example, checkups and cleanings are necessary to prevent dental health complications such as tooth cavities and periodontitis. At our New York, NY dental office, Dr. Lerner and our team offer a wide range of family dental services to help you enjoy a lifetime of healthy smiles. For your smile as well as your physical well-being, prevention is vital. Therefore, the main focus of general dentistry is preventing dental diseases from developing in the first place. Besides brushing and flossing your teeth every day, professional dental cleanings and check-ups help stop the accumulation of oral bacteria into plaque and tartar. Other treatments, such as root canals, fillings, crown and bridges, wisdom teeth extractions, etc., can also help you address existing issues before they grow worse. During your dental appointment, your dentist will carefully perform a comprehensive dental exam for signs of trouble. If any are present, then he or she will recommend an appropriate course of treatment to stop the issue from growing worse. However, ensuring a lifetime of healthy smiles will still rely on routine visits with your general dentist. Make an Appointment with Your New York Dentist Today! With a strong focus on prevention, preventative dentistry is essential to enjoying a lifetime of healthy smiles. To schedule your next visit, call Dr. Lerner's dental office in New York, NY today at (212) 563-3693.